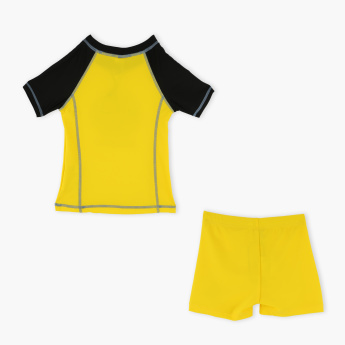 Grab this stylish t-shirt with trunks for your young boy and give him a comfortable swimming experience. 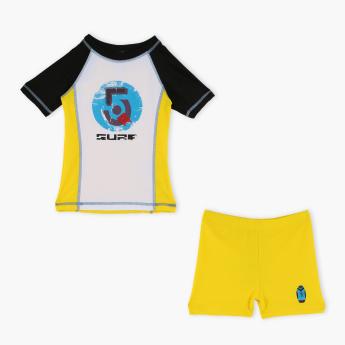 The t-shirt sports a boardsport-inspired print and a round neck with short sleeves. The well-fitting shorts come with an elasticised waistband.